Unleash your inner da Vinci with these powerful apps. Bill Gates mind-maps. So do Jack Canfield, Deepak Chopra, and Al Gore. Leonardo da Vinci was the most famous mind-mapper of all, his visual style of note taking immortalized in his notebooks. Mind mapping is a technique for visualizing and developing ideas. Unlike linear note taking, mind mapping mimics the way our brain radiates ideas and connects them through natural associations. That makes them ideal for brainstorming, planning complex projects, and writing everything from business plans to novel plots. Mind maps always start with a central concept, represented by an image or text, in the middle of the map. As you begin to free associate, you build branches out from this main node, then branch off of those ideas, and so on. In the pre-digital world, you had to do this on paper with colored pencils. But today there a many fantastic computer and web apps that do the heavy lifting for you. Here are four of our favorites. 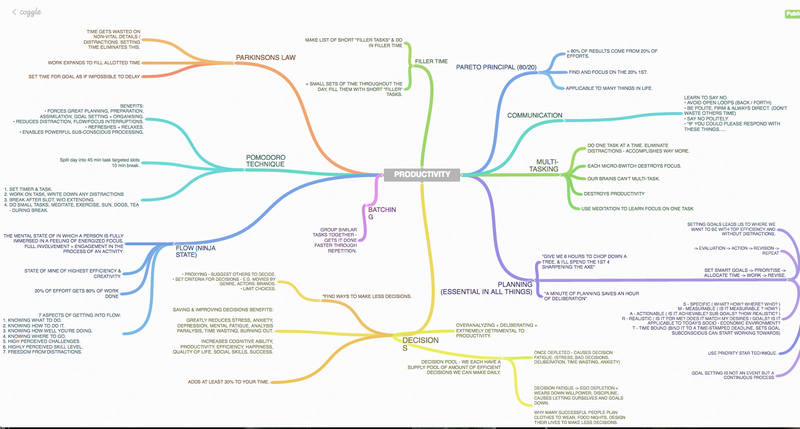 MindMeister is one of the most popular mind-mapping tools. 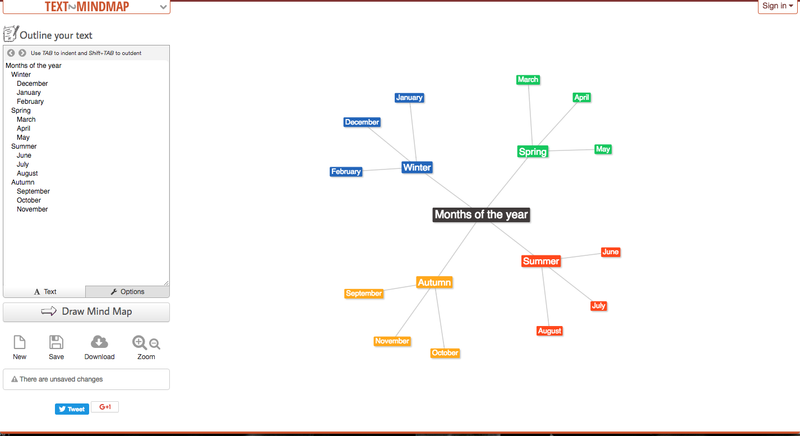 Building a mind map in this browser-based app is as simple as entering your central concept then hitting Tab to create each branch. You can choose from a selection of prefab map themes or customize your own with a range of color and formatting options. All your maps are securely stored in the cloud. MindMeister also features a presentation mode that transforms your finished maps into slideshows you can post or broadcast live online. 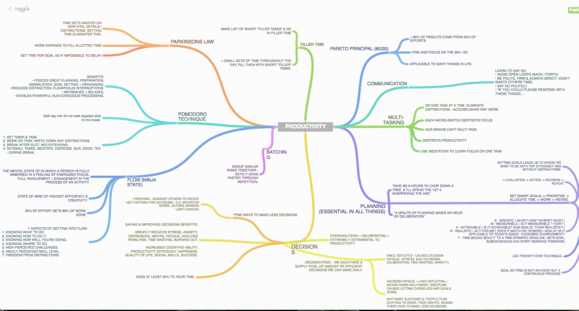 MindMeister is great for personal use, but its collaboration features are where it’s at. While you can easily use MindMeister for personal brainstorming, its strongest appeal is its set of collaboration features. You can share your mind maps with internal or external collaborators, exchange feedback, assign tasks to team members, and chat in real time right in the map editor. MindMeister also integrates with Google Hangouts so you and others can brainstorm together during video conferences. 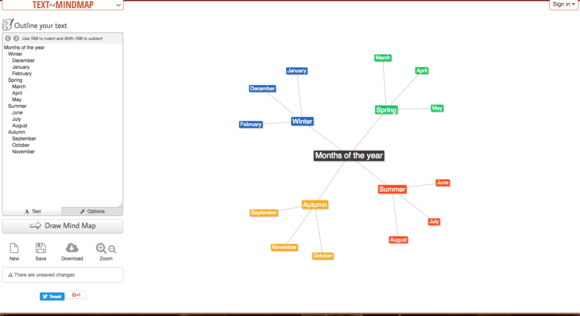 MindMeister offers three tiered plans: Personal for $6 per user/per month, Pro for $10 per user/per month, and Business for $15 per user/per month. There are also free apps for iOS and Android that let you view, edit, and present your maps. Coggle is another browser-based mind-map tool, and all you need is your Google login to get started. You’re presented with a blank white screen with a field for your central idea at the center. To enter your first subtopic, you just click one of the the plus signs that appears when you hover your mouse over your this node. Continue in this way to build more branches. You can move any individual branch or your entire map by clicking and dragging it. Coggle’s Organization plan adds business-level security features to your maps. Coggle offers a full slate of collaborative tools, too, including sharing, versioning, commenting, and edit tracking. You can also chat with collaborators inside the workspace. Paid versions add presentation mode and the ability to drag-and-drop images from your desktop, among other features. You can get Coggle in three flavors: Free, Awesome for $5 per month, and Organization—which adds more business security features—for $8 per user/per month. 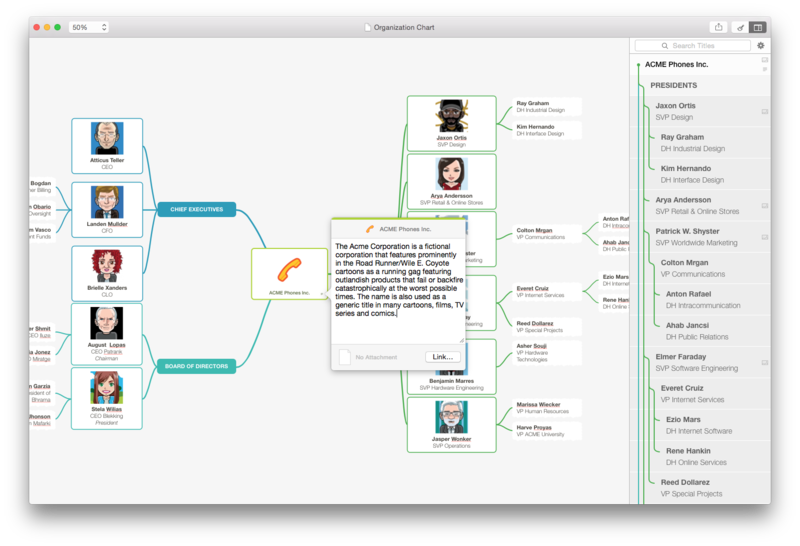 MindNode 2 brings powerful mind mapping to Mac users. As with the above tools, Mind Node 2 presents you with a central node for your main idea, and you add sub-nodes by clicking the appropriate plus sign. Individual and connected nodes can be dragged and dropped around the workspace. One of MindNode 2’s unique features is Notes Popover, which allows you to add more details to a pop-up notes field attached to each node. You can also detach these notes and move them anywhere on your screen if you want them open and accessible. Mind Node 2’s Notes Popover features lets you add detailed information to each node without cluttering up your map. Among MindNode’s other features are the ability to upload images to your map from your Mac, an outline view that displays your map in a more conventional hierarchy, and plenty of formatting and color options to make your maps more visually appealing. You can share your maps by exporting them to one of several file formats, including image, text, PDF, and OPML. You can get MindNode2 in the Mac app store for $30. The iOS app for iPhone and iPad is free. When the ideas come fast and furious, you don’t want to bother with a lot of formatting and styling. Text 2 Mind Map is the perfect tool for these situations—it builds the mind map so you don’t have to. Text 2 Mind Map creates maps out of your text outlines with one click. You just outline your text into this browser-based tool and it will take your hierarchical points and transform them into a full-color mind map. Once the map is created, you can drag and reposition nodes or the whole map within the workspace. Text 2 Mind Map offers limited options for formatting text and colors, but mostly keeps things no-nonsense. When your map is done, you can save it to the cloud or download it to your computer. 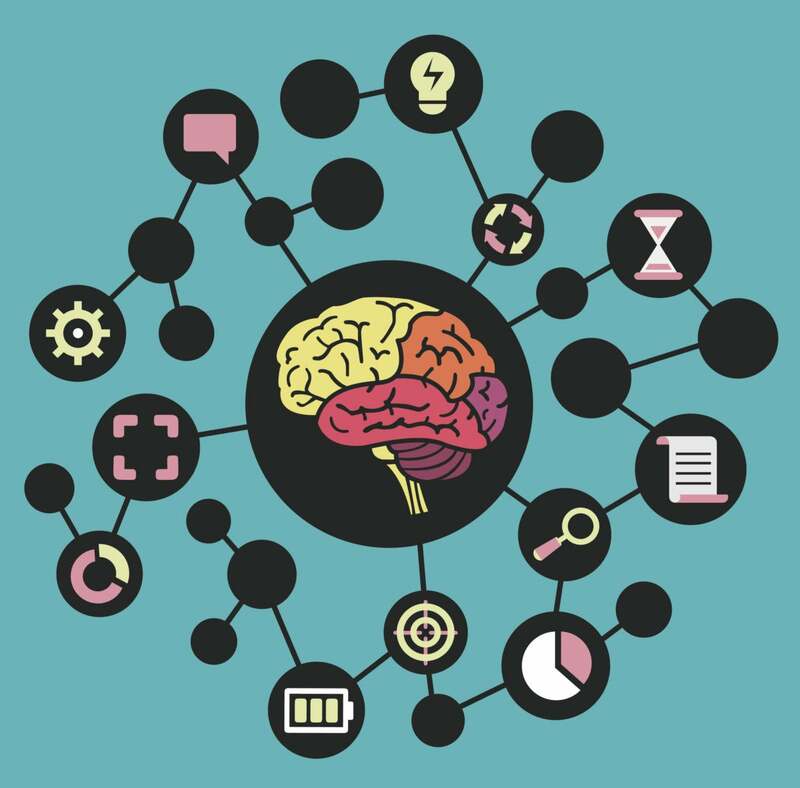 Text 2 Mind Map is free to use, but you get more perks—and can save more maps—if you opt for one of the paid accounts: Mini for $5 per month; Standard for $9 per month; and Pro, which also uses industry-grad encryption, for $11 per month.